We are manufacturing a wide range of Plastic Cups & Mugs. Owing to our in-depth industry experience and precise knowledge in this domain, we are offering an outstanding assortment of Snackeez Snack Drink Cup. - For drinking water and cold drink in various events. Pour your favorite drink in the cup & add your favorite snacks to the snack holder. The Hinged, flip-top lid snaps securely shut to keep snacks fresh and in the cup Now you can have your drink and favorite snack all in one hand! Snackeez is the all-in-one, go anywhere snacking solution! All in one hand! The hinged, flip-top lid snaps securely in place so your snacks stay fresh and in the cup. The Snackeez even comes with a straw that has a conveniently tethered cap to prevent drink spills. Snackeez is the all-in-one, go anywhere snacking solution! The clever design of Snackeez lets you hold a 16 oz. drink and your favorite snack All in one hand! The hinged, flip-top lid snaps securely in place so your snacks stay fresh and in the cup. The Snackeez even comes with a straw that has a conveniently tethered cap to prevent drink spills. - 16oz drink cup with 8oz snack cup. - Great for the car, on the couch or even at the parties. Dunche Clovis (india) Pvt. Ltd.
We can design and provide a designer range of Ceramics Cups Saucers which is perfectly blend for serving tea in a stylish way. Ceramics Cups Saucers manufactured by us are available in a variety of designs, shapes and capacity and it can also be customized as per your stated specification. We carry elegant disposable cups of variable size. 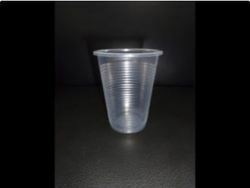 Take a look and you will see that we specialize in plastic cups and we carry every single vendor that makes plastic Cups suitable for functions. 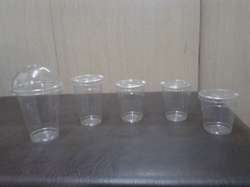 Our product of plastic cup thickness is above 65 microns and is certified by CIPET.